i am so humbled by all the love and support and encouragement you showered me with on my last post. it makes me realize that the internet, even with all its crazies, can be a wonderful place to connect with people. i've received numerous emails (that i really need to reply to) from many of you who are just starting out on this journey towards health and i am so excited for you. i really am! you are changing your life and it's hard but it's so worth it. take it from me. i am filled with so much hope for this year. i have never been so excited for a new year, a fresh start, a new beginning. 2011 was a painful year, but God has graced me with strength i never thought was possible. i am confident that i am exactly where i am supposed to be. i am so fulfilled by my work, my family, my community. here. now. and i'm not naive. i know there will be days where i don't feel that. but today i do and i want to express my gratefulness for this life i have been blessed to live. in november i started praying and asking God what my word was going to be for this year. last year he told me that 2011 was the year of promise. i believe this is a year of fresh starts... of new beginnings... do i know what that means or looks like exactly? nope. but i'm trusting God that His plans for me are better than i could ever hope or imagine. Awesome!!! Here is to a wonderful 2012!!! You are SUCH a blessing to me! Thankful for you. I sure wished we lived closer so we could be running buddies :) Here's to a fabulous, blessed, wonderful 2012. I know God has huge things in store for the both of us! I'm new to your blog and I am one of the ones that is starting the journey and I'm hopeful that 2012 will be my year!!! You give me sooo much encouragement and I'm just freaking excited!!!! Great job girl, you look fantastic! Love it!!!! There is no peace sweeter than giving it all up to God and letting go :) Hope this year brings you TONS of JOY!!! Good word. I've been thinking about mine this week. Time to start praying about it. word in the year-great idea! 2012 is going to be your year! honestly, I feel that 2012 will bring big things to you! Ps... you won one of my giveaways! Yay! 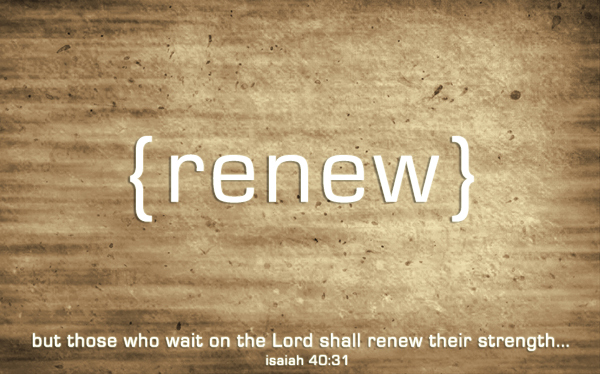 Renew is a WONDERFUL "word of the year" ... love it!! Love it!!! I hope your 2012 is filled with blessings, joy and Renewal!! !